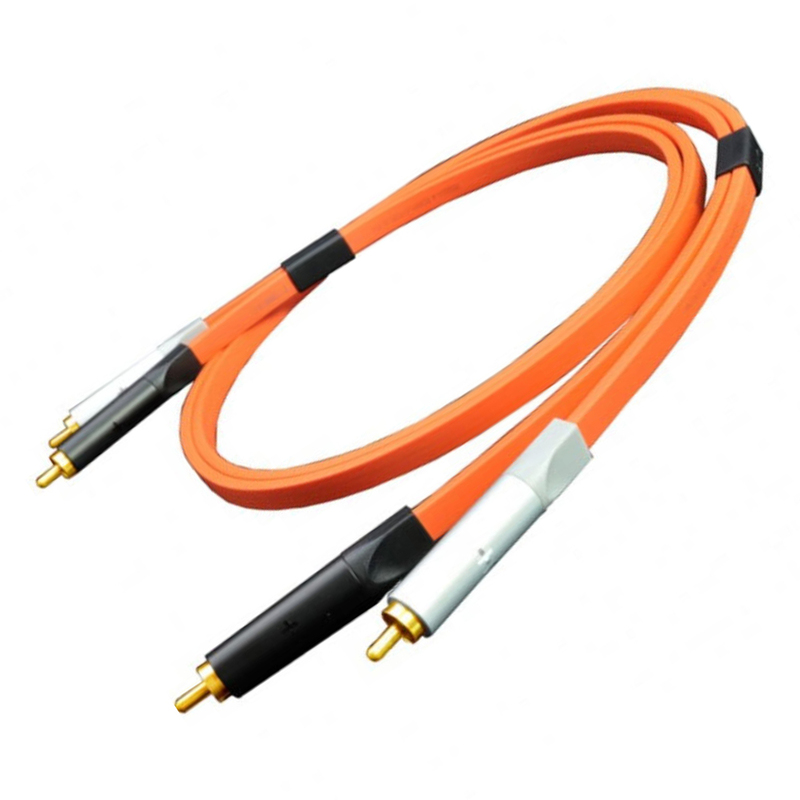 Set consists of 2 x RCA to RCA (phono to phono) cables. These are super high quality for the best sound possible. Especially, by synergy effect with d+ USB series, they improve the sound qualities of DJ I/Os such as Serato SCRATCH LIVE or NI TRAKTOR and project the details of sound images. Although MP3 files tend to emphasize noise or sound which is not favorable for human ears, the d+ RCA series provides you smooth and stereoscopic sounds and reduces distortion and signal loss by its excellent electric property. About the product planning for the d+ RCA series, we contemplated the best combination of important materials and factors such as its structure, conductor, insulator, shielding, outer sheath, and contact of plug. As a matter of course, for not only a data compressed file but also WAV, AIFF, and CD, it contributes to dissolve the stiffness and shallowness of digital sounds. In addition, its hi-definition playback property helps for making a good quality file recording for vinyl sound capturing. Furthermore, although wiring has been regarded as messing up around a booth or a studio, the colorful and innovative product design of d+ series makes a stylish impression to artists who tend to think that the design is one of the most important factors for their motivation. “d+ RCA series” improves the sound quality of DJ equipments and provides high performance for your DJ playing and sound production.